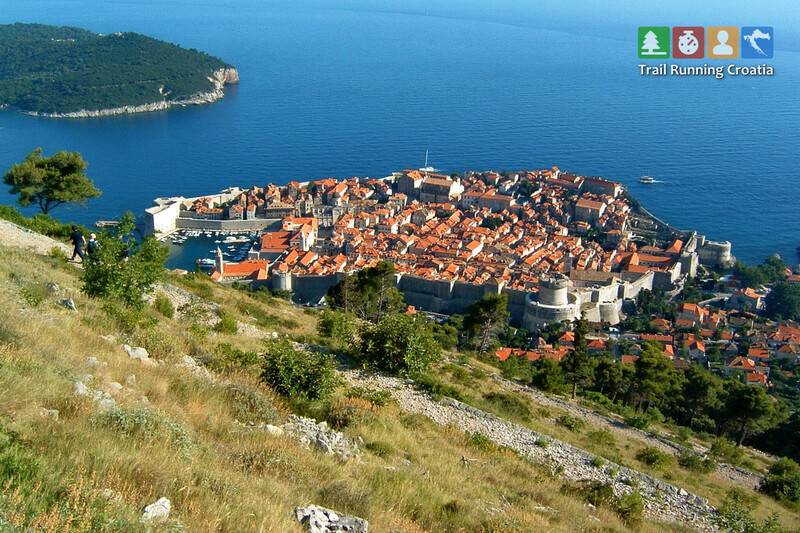 Dubrovnik – a trail running destination? Dubrovnik is probably the most famous place in Croatia. Tourists from all over the world has been fleeing to Dubrovnik long before it became known as Kings Landing in Game of Thrones. 😉 But is it good as a trail running destination? Unfortunately, no. Although the “Pearl of the Adriatic” has many to offer, trail running is not on the list. With no running club, none of the running events, it’s hard to find someone running. First, there’s mountain Srđ, standing 412m above sea level. The path zig-zags to the summit. If you don’t want to run up/down, you can take a cablecar trip in any way. You can get information about the hiking path in some tourist information office. If you drive a bit south, to Cavtat, you will find a trail that locals use for their training. Climb to hill Stražišće is not the easiest one, but if you are well prepared and you take enough water with you, you’ll enjoy it and find some splendid views. Recommended time of day is early in the morning or just before sunset. Two routes are described here.